Photographed by AE before the church was demolished. To the Glory of God and in Loving Memory / of her husband John Reynolds who died / 19th Jan 1910 aged 76 years, also of her son/ 2nd Lieut Percival Reynolds aged 37 years / missing in the Great War 19th Sept, 1918 / this window is given by Mina Reynolds, 1924. Barnsley, St Paul's Church, Old Town, Litany Desk. 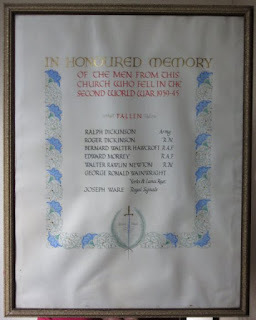 FROM THE GREAT WAR 1914-1918. Barnsley, St Paul's Church, Old Town, WW1 memorial. 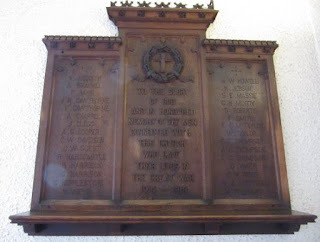 Barnsley, St Paul's Church, Old Town, memorial baptism font cover. 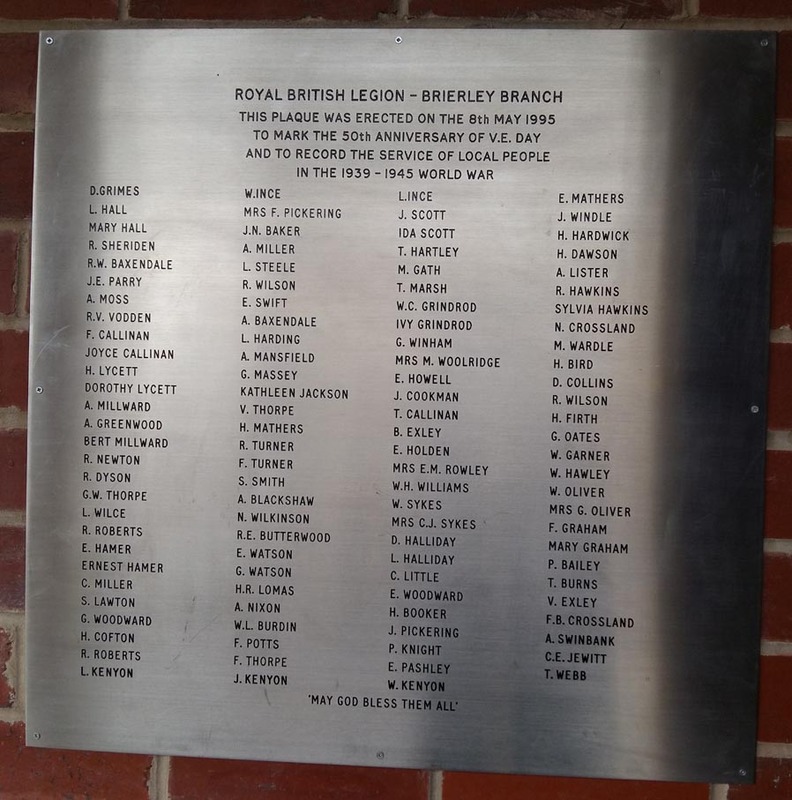 Royal British Legion - Brierley Branch / This plaque was erected on the 8th May 1995 / to mark the 50th Anniversary of V.E. 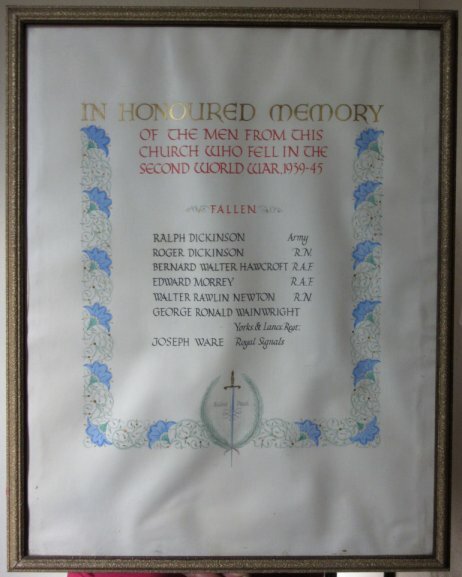 Day / and to record the service of local people / in the 1939-1945 War. 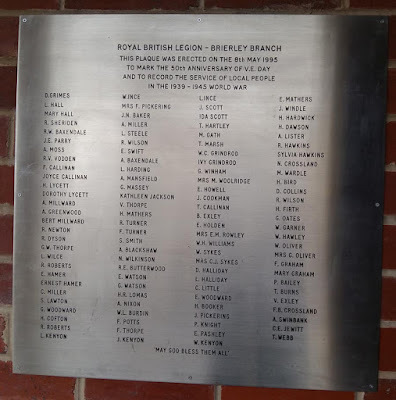 A report in the Barnsley Chronicle on 26 February 2016 noted that the plaque had originally been located in Brierley Hall but as that building was being redeveloped the plaque had been moved to the local Methodist Church. It was unveiled in its new position on Thursday 18 February 2016.